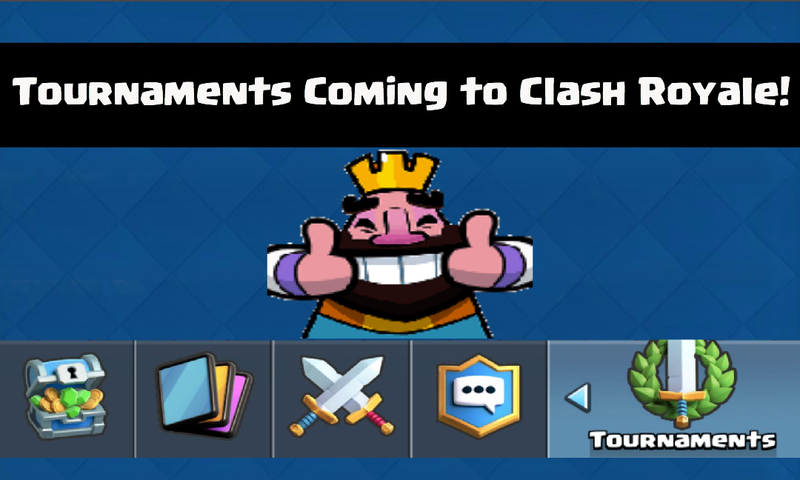 Tournament Mode in New Clash Royale Update! So basically it appears as if tournaments will be replacing TV Royale, which is probably a good thing. Maybe instead of TV Royale, we will see some sweet replays from tournaments. So far tournaments are all speculation; I should have an article out soon about some of the details included in tournaments! Anyways, regardless what this is, tournaments will be a sweet addition to the already great game of Clash Royale. Stay tuned to see tournaments in July or just in the next update!